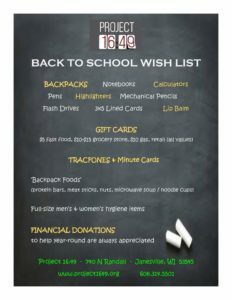 Project 16:49 is gearing up for our annual Back to School Drive and we could use your help! Our goal is to distribute 125 backpacks filled with school supplies, hygiene items and snacks so our unaccompanied homeless teens have what they need to start the school year on a positive note. A number of businesses throughout the county will have donations bins available for the community to drop off items. 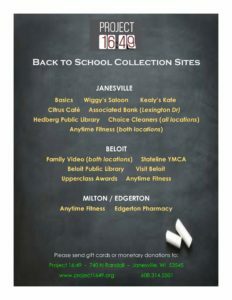 A list of items needed and collection sites can be found below. 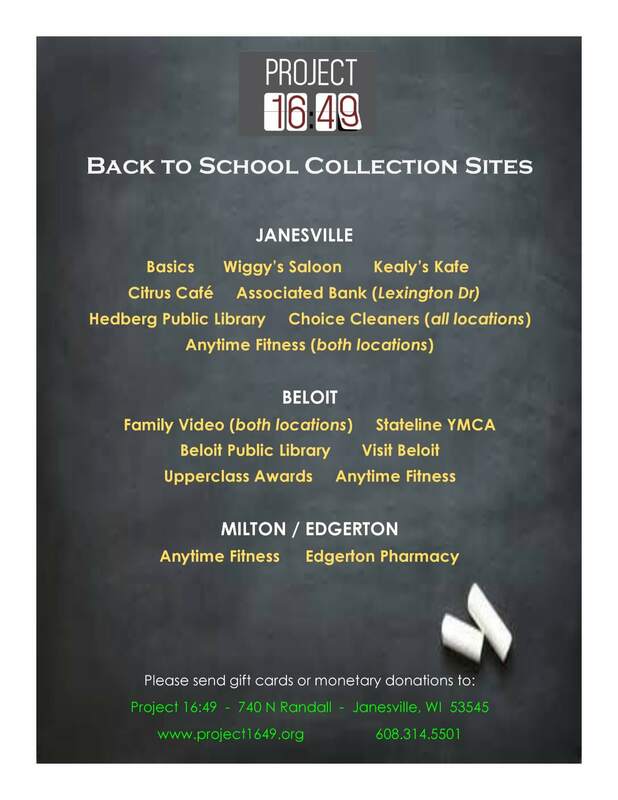 Monetary donations and gift cards also are appreciated, and can be sent or brought to: Project 16:49, 740 N Randall Ave, Janesville WI 53545.